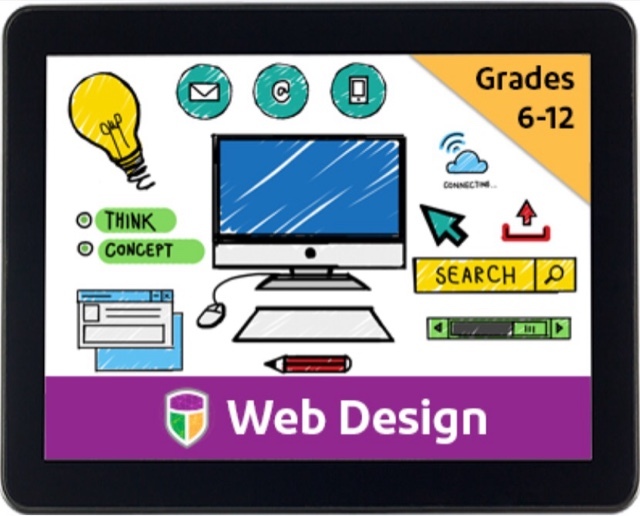 The following is a review of Web Design by CompuScholar, Inc. with the TOS Homeschool Review Crew. My son does well when expectations are clear. I recently started setting a little time aside with him on Mondays to fill in assignments for the week on his calendar. It's become a nice plan for both of us. The basics are expected--math, history, science, English, but the extras are what makes school more fun for him. Computer skills are one of those extras. They could be called electives, if you want to call them that, though in this digital age I think computer skills are more necessity than elective. During this review, we were encouraged to have our children complete at least one lesson of the Kidcoder Web Design course each week. My son has done more than that from the very first day he started it. He enjoys this format and is learning. It is designed to be a one year/two semester course. 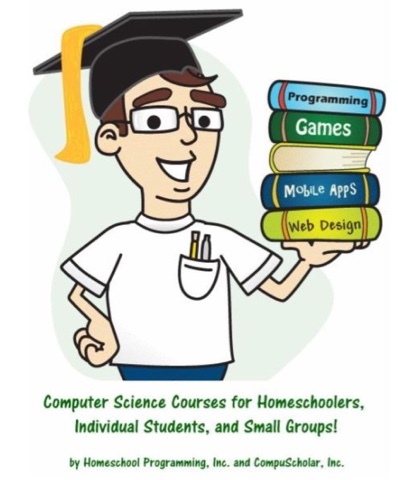 CompuScholar, Inc. formerly known as Homeschool Programming offers online classes in Web Design, Digital Savvy, and Java Programming. My son has been independently working through the interactive Web Design course lessons. It is not an advanced coding course like creating games but is how to create websites. He's also interested in creating games which is covered in a different course. My son dove into the program, initially enthusiastically completing multiple lessons each day. He shared his thoughts about the program: "The web design program makes it easy to learn because it has both a videos and transcripts of all that the video says. It is set at an easy pace. It's fun. The lessons don't take long at all. With the new updates it is a lot easier to find my way around the website to move from lesson to lesson easier." To summarize him, it is fun and easy. There is a quiz with about five questions after every lesson. The student is allowed to take each quiz up to three times, and their highest score counts. After three to four lessons, students complete an activity to strengthen or beautify their web page based on the lessons they recently completed. Chapter quizzes cover multiple lessons. Students are also allowed to take those up to three times. My son worked toward making 100 on every lesson quiz, excitedly sharing with me each time that he did. As they work through the course, students are all directed to create web pages about the same content, but my son said they are not identical pages as each student personalizes their own webpage as they follow the instructions. Raptors are the main subject, but research isn't a part of the course; the content is provided within the course. There is a separate log in area just for parents/teachers. Our student's progress can be tracked, scores viewed, and more. I recommend this this course for homeschool families like mine with a need for the student to be more technologically independent than the parent alone can teach them. We will be considering additional courses from CompuScholar.